“I knew ‘Hello’ would be the first song that I came back with in any capacity. It’s so conversational,” and I wanted to have a conversation with everyone,“ explains singer-songwriter Adele. "Conversational” is certainly an apt description for that particular single, as it communicated effortlessly and brilliantly to fans, selling a record-breaking 1.1 million in its first week. 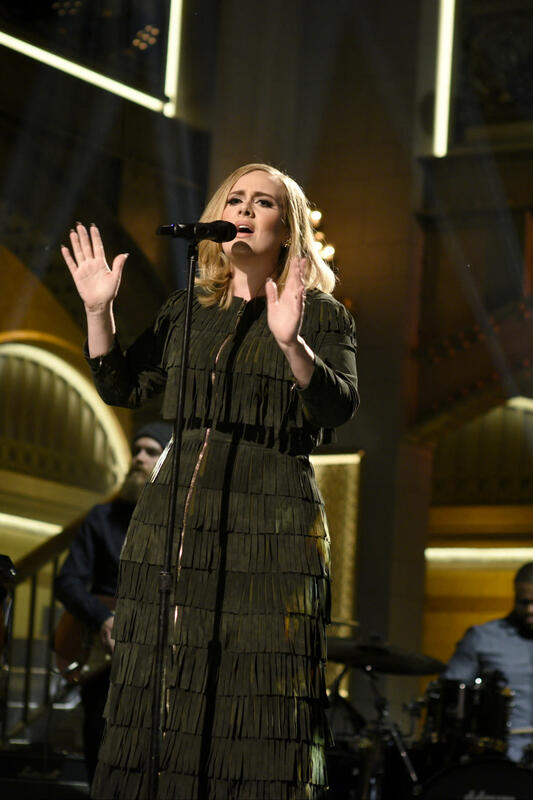 The subsequent release of Adele’s album 25 proved to be even more successful – the record is poised to break the one-week sales record for an album, a feat previously set by *NSYNC in 2000. As the superstar discusses in this exclusive interview, interspersed with a stunning performance of “Hello,” she felt indescribable pressure to follow up the success of her last set, 21. However, that was relieved the minute she heard "Hello” on the radio for the first time. “I went to the toilet and cried my eyes out,” she notes frankly, adding that it was a similar experience to when she’d heard her first single at age 18. She also shares with fans how the experience of motherhood shaped 25. “I lost myself massively when I became a mum, in a good way. I was trying to find myself, and I couldn’t because I was so tired." 25 was released on November 20 and is expected to tally more than 2.5 million copies sold when its first-week numbers are compiled on November 29.